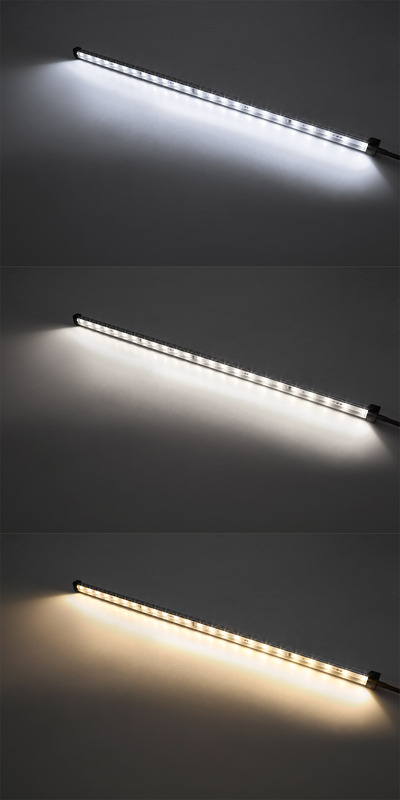 Weatherproof LED Linear Light Bar Fixture: On Showing Beam Pattern In Cool White (Top), Natural White (Center), And Warm White (Bottom). 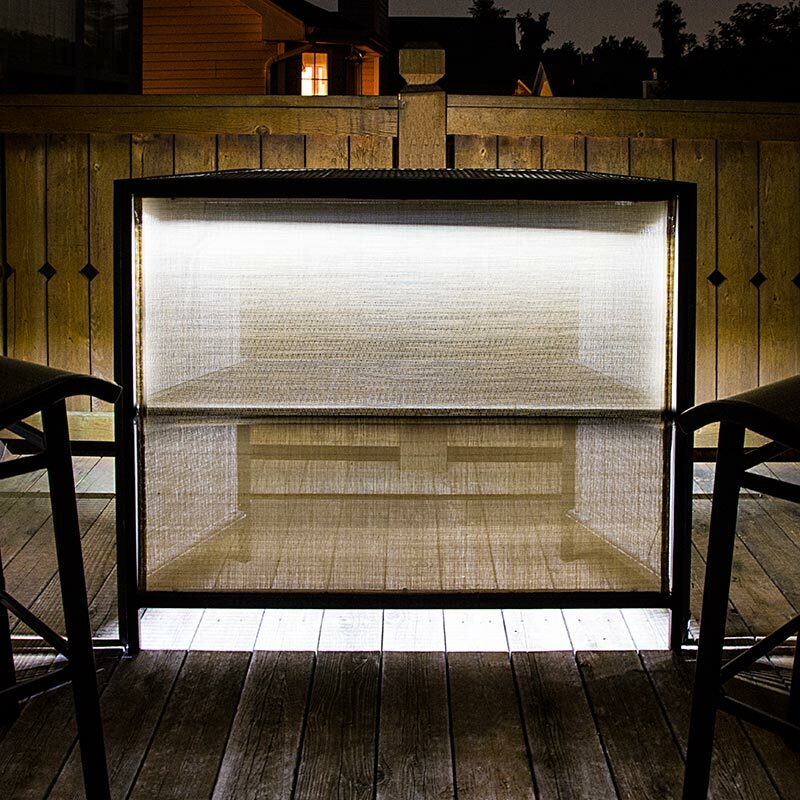 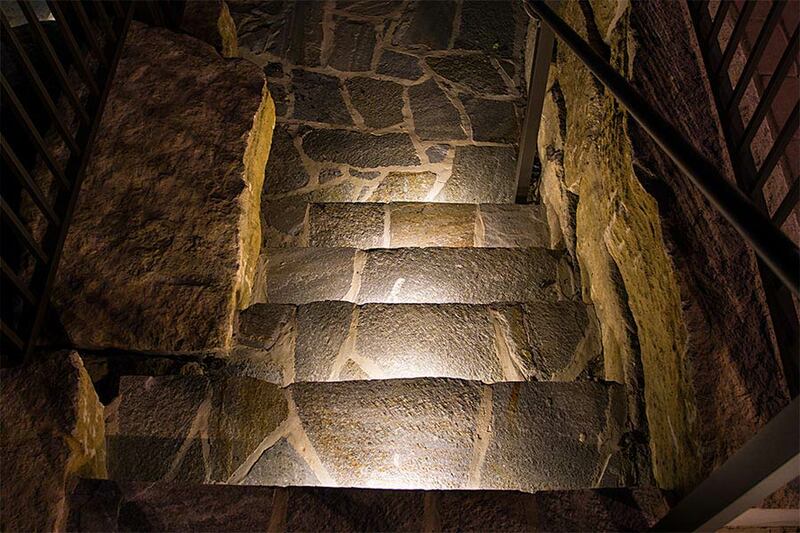 Weatherproof LED Linear Light Bar Fixture: Shown Installed As Stair Lighting In Warm White. 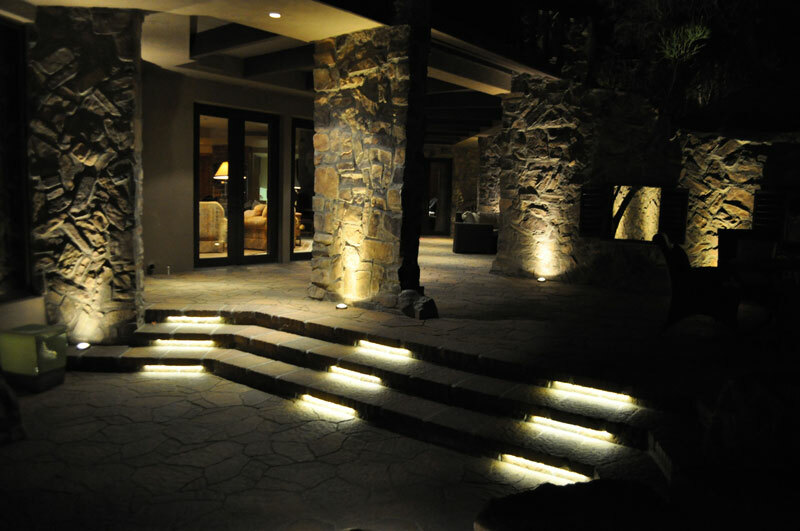 Weatherproof LED Linear Light Bar Fixture: Shown Illuminating Stairs In Warm White. 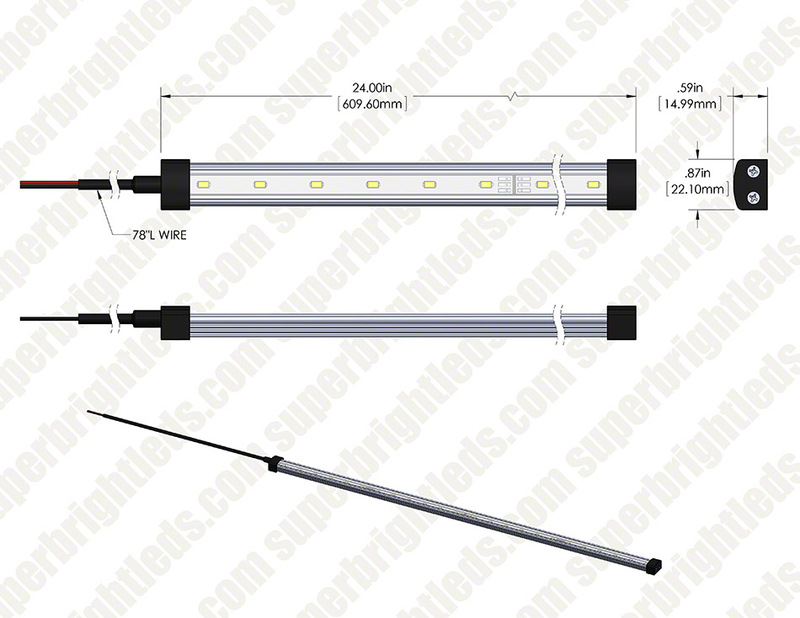 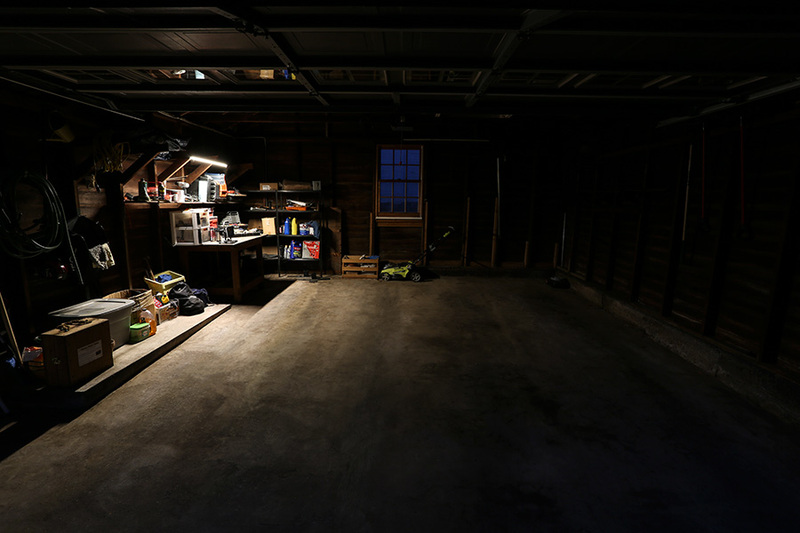 Weatherproof LED Linear Light Bar Fixture: Shown Installed Over Garage Work Bench. 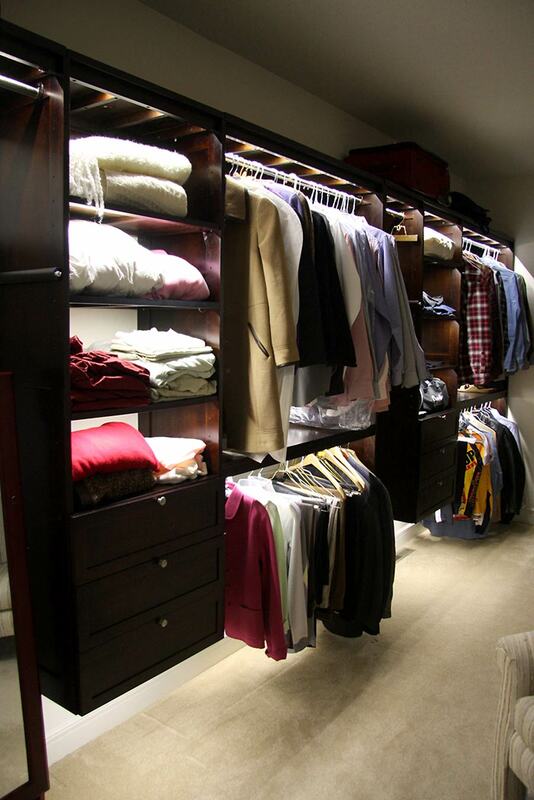 Weatherproof LED Linear Light Bar Fixture: Shown Installed In Closet. 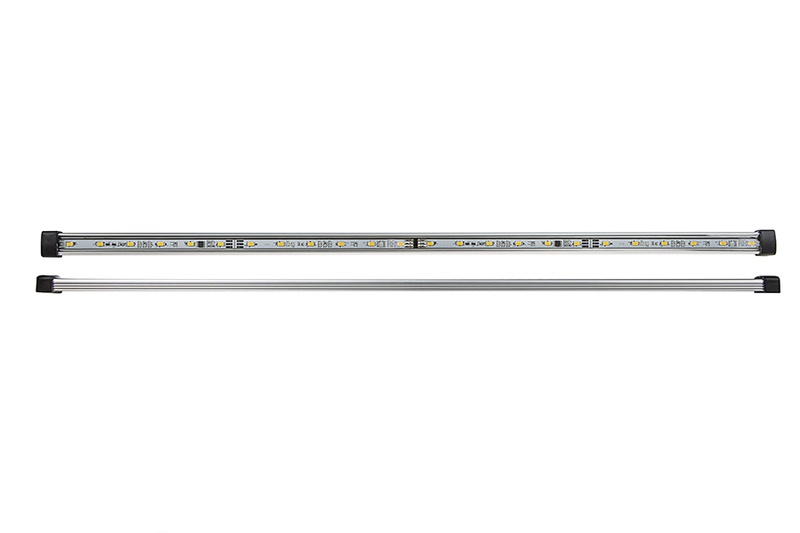 Linear LED light bar fixtures are an extremely versatile solution for a variety of lighting needs, such as cabinet lighting, under-cabinet lighting, desk lighting, bookshelf lighting, showcase lighting, truck bed lighting, RV ceiling lights, and more. 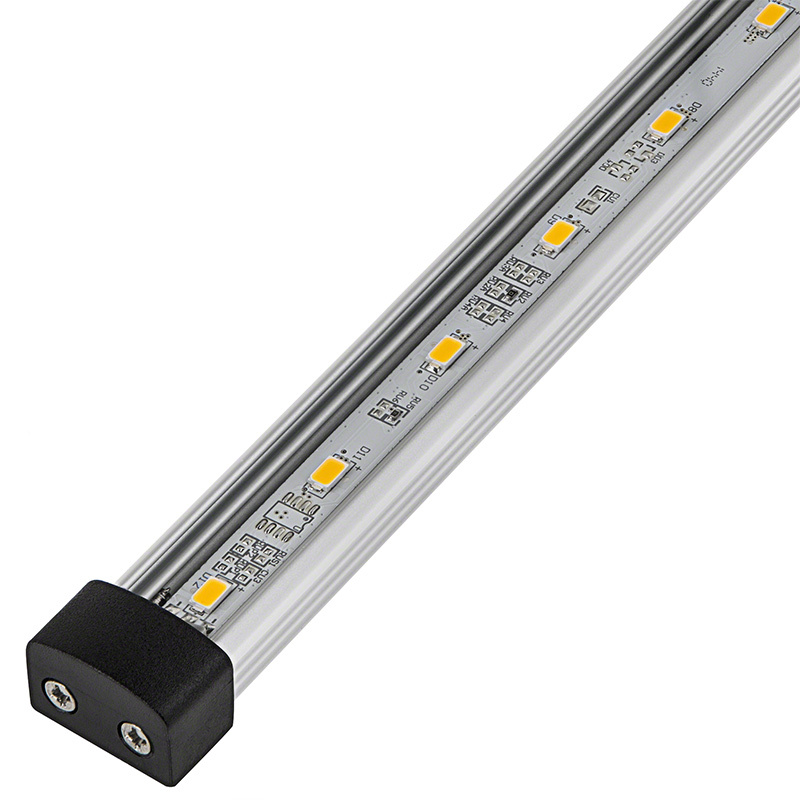 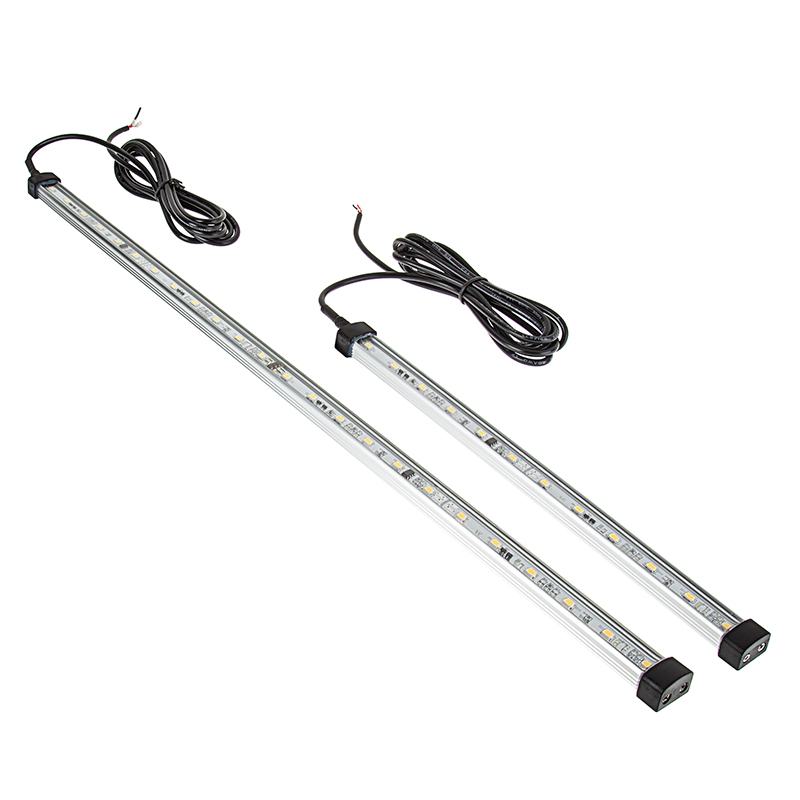 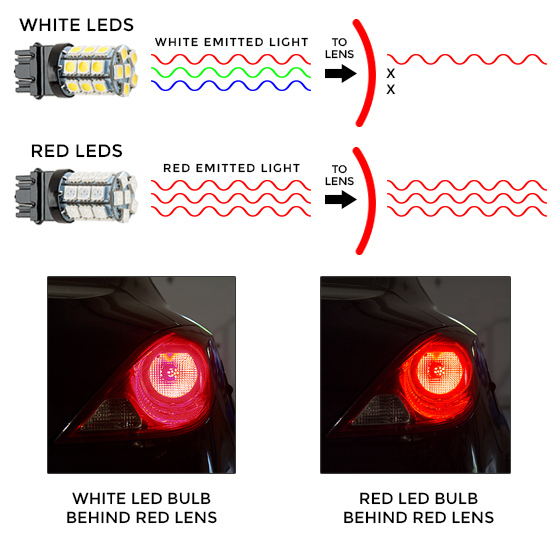 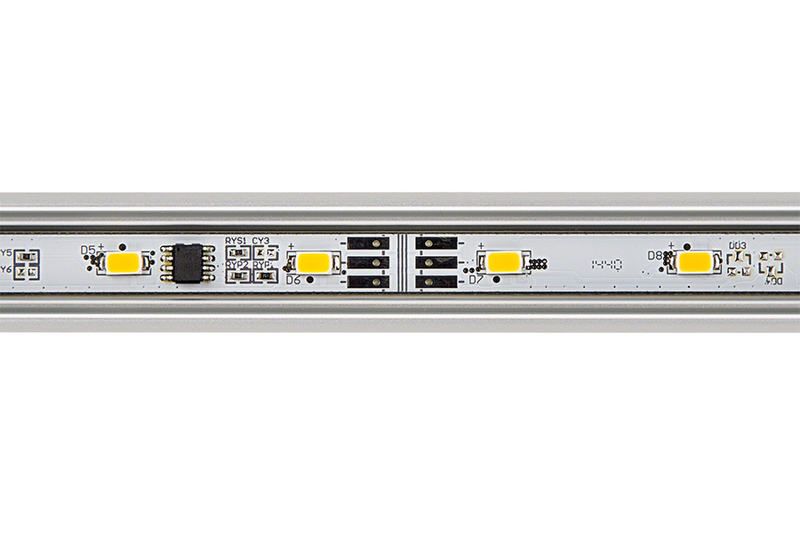 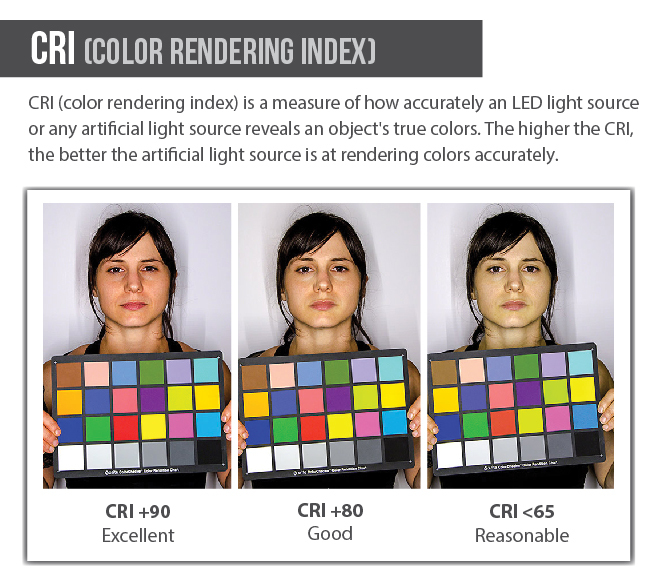 These 1' and 2' aluminum LED light bars emit up to 860 lumens of cool white, natural white, or warm white illumination. 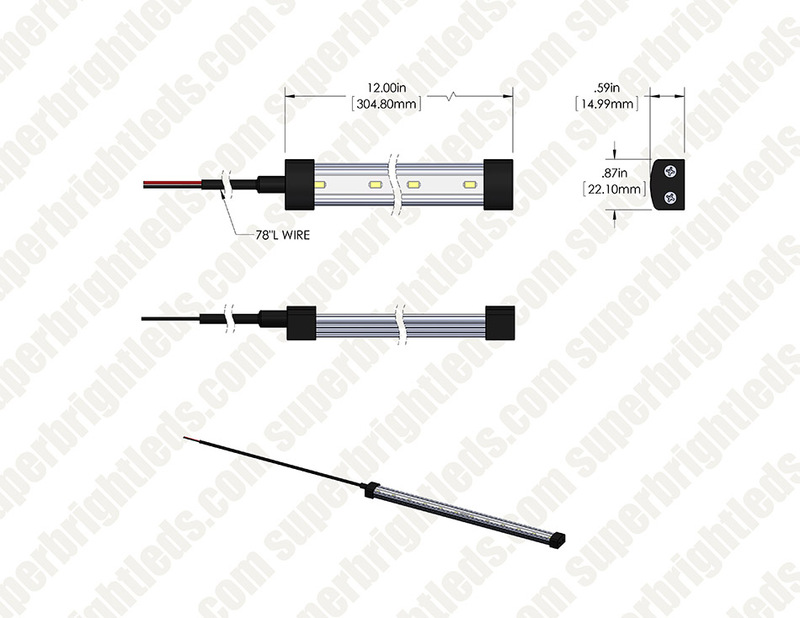 The weatherproof light fixtures have 6-1/2' pigtail power cords and 24 VDC operation. 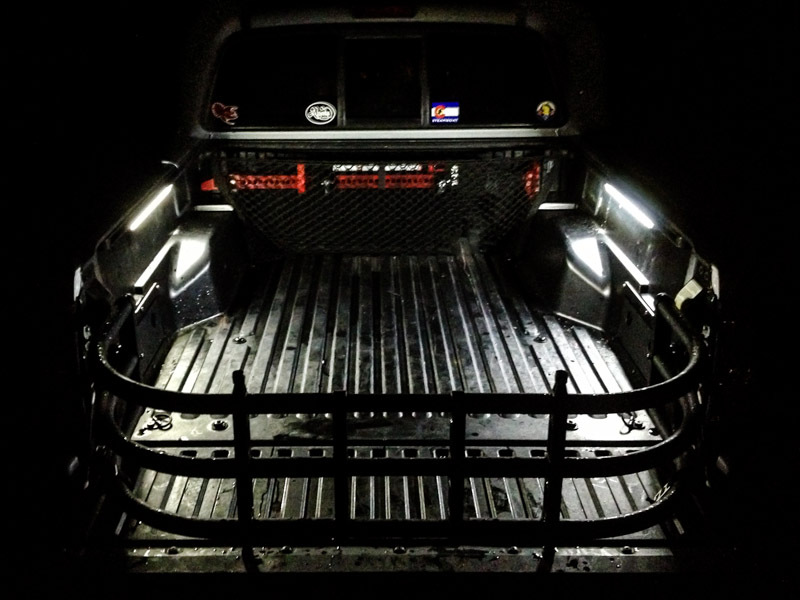 This light bar is as bright as advertised, and with its color it makes my kitchen look better than ever. 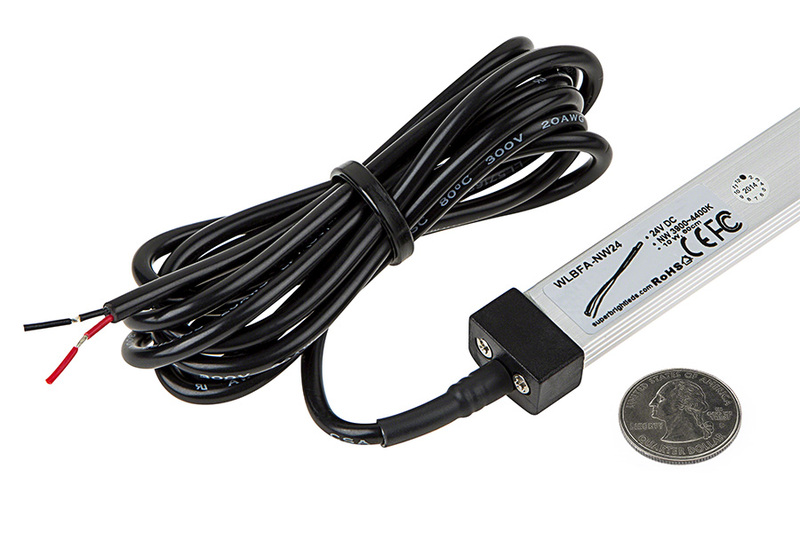 Works great, is very efficient.